Although specialists have surpassed his victory tally in some races, Merckx’s overall record in cycling is unlikely ever to be equaled. His dominance and victory rate – over 50 races a year for four years – make him unique not merely on two wheels but in any sport. 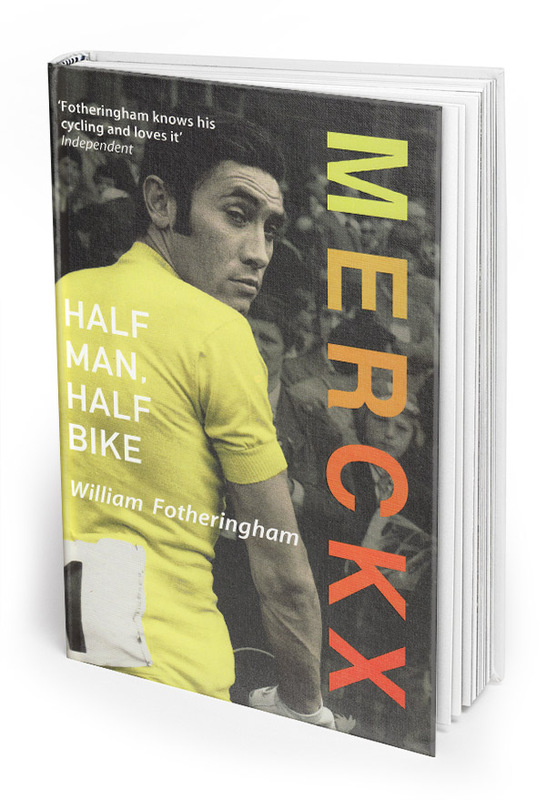 Often viewed as a robotic winning machine, in actual fact Merckx was a curiously fragile figure in spite of his overwhelming drive to win: he was fuelled by insecurity, frequently complained of injury, had a unique sense of duty to his sport and profession, and eventually cut his career short simply due to pushing himself too hard. This is the first time the life story of the Cannibal has been told full-length in English, and it aims to paint a definitive picture of the greatest cyclist of all time. The source list is a long one: interviewees include Bernard Thévenet, Vittorio Adorni, Walter Godefroot, Herman Van Springel, Patrick Sercu, Jose Bruyère, the film-maker Jorgen Leth, Merckx’s long-time masseur and confidant Guillaume Michiels and his directeurs sportifs Giorgio Albani and Bob Lelangue.